The Fireside Restaurant at The Resort at Port Ludlow earned Wine Spectator's 2016 Best of Award of Excellence for its curated wine list. The Fireside's curated wine lists consists of over 600 selections from Washington State, Oregon, California, and the old world. We strive to honor the wines and winemakers who are passionate about their craft through management of this inventory, education to our staff and sharing with our guests through various events and in the dining room on a daily basis." The Resort at Port Ludlow is proud to announce that The Fireside has earned Wine Spectator’s 2016 Best of Award of Excellence. The Best of Award of Excellence was created to give special recognition to restaurants that clearly exceeded the requirements of the Award of Excellence. These wine lists typically offer 350 or more selections, along with superior presentation, and display either vintage depth, with several vertical offerings of top wines, or excellent breadth across several wine regions. The Fireside will be featured on http://www.winespectator.com/ and in the August 31st issue, which hits newsstands on Tuesday, July 21st. Cellar Master Anne Sackett received her Sommelier Certification through the International Sommelier Guide and in 2009 joined The Resort at Port Ludlow as the Cellar Master for The Fireside. 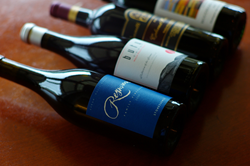 The Fireside’s curated wine list consists of more than 600 selections from Washington State, Oregon, California, and the old world. The Fireside is known for its blend of regional fare utilizing the rich bounty of the local farms and fisheries. Hand crafted cheeses and locally sourced poultry, beef and lamb are often featured on the daily dinner menu. Executive Chef Dan Ratigan and the skilled culinary team celebrate the Pacific Northwest has to offer as they “play” with these bountiful products and create menus to pair with this well considered wine list.